The delayed press night for Sylvia at the Old Vic was cancelled again yesterday at the last minute, with audience members asked to watch a concert-style version of the production instead. The hip-hop musical has been beset with problems caused by cast illness but had already delayed its opening to do more work on the show, which is based on the life of Sylvia Pankhurst and her role in the suffragette movement. The theatre was also forced to abandon a performance during its preview period after a cast member collapsed on stage. It is understood the press night performance on September 17 was cancelled after the audience had arrived at the theatre, with the cast later performing a stripped back version of the musical without choreography or sets. A critic attending said they were asked not to review this. 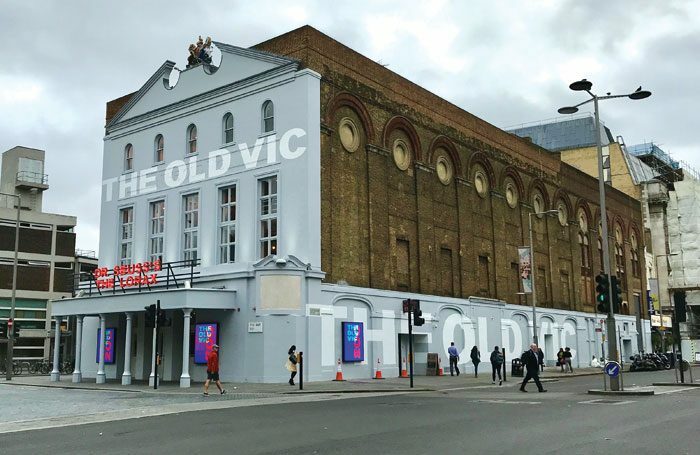 A statement from the Old Vic said the planned performance had been cancelled due the unexpected illness of cast members, and that all audience members would receive a full refund. The theatre also said that prior to last night’s issues, the decision had been taken to present the remaining performances of Sylvia as previews because the “crucial” development stage of the production had been complicated by cast illness and having to rehearse understudies. The run is due to continue until September 22, and will be shown as a work in progress with lower ticket prices, the Old Vic said. “There is much work and revision to be done but we very much hope that this thrilling production will go on to have a future life that we believe it deserves. We’d like to thank audiences for their overwhelming support and enthusiasm and for joining us at the beginning of this very special journey,” it added.